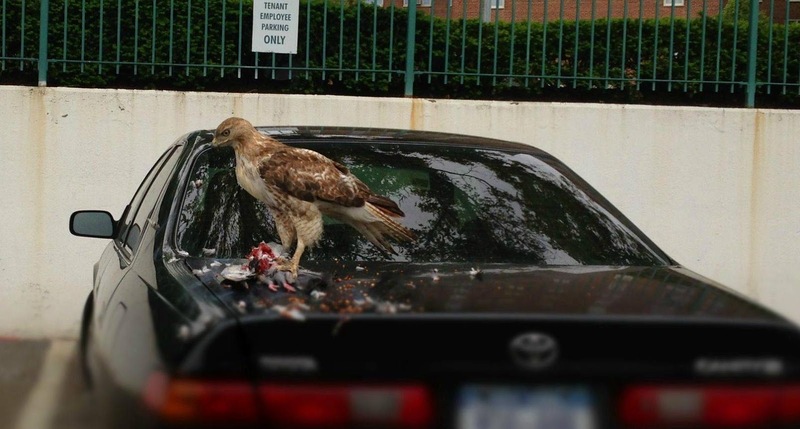 Imagine you'd had a tough day at work and got to your car and found this happening on your boot. A hawk chowing down on a pigeon. Look at all those guts and feathers everywhere, what a mess! Who's gonna clean that up? The hawk? I don't think so.